Since 1933, the attorneys who at one time or another helped create and maintain Smith, Burnett & Hagerman have provided high quality legal services to agriculture, businesses, and individuals needing a variety of legal services. 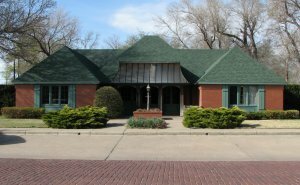 Our office sits on the side of Larned where, if the houses were not there, the ruts of the historic Santa Fe Trail might still be visible. Our small town roots hold down our costs but we have a multi-county reach into west Central Kansas. We typically interview new clients without charge. However, except for existing clients, we do not give legal advice over the phone. We try to get the work out with the least delay. Call or email us if we might assist your legal needs.